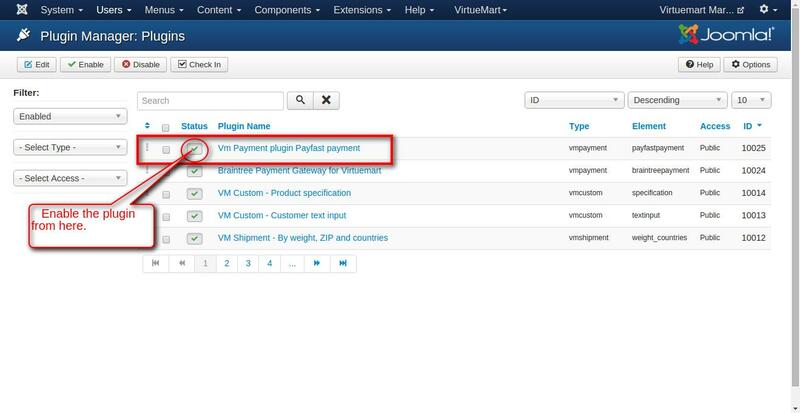 PayFast Payment Gateway for Virtuemart: This Plugin work with checkout for payment in Joomla Virtuemart. It will work live as well as Debugging mode. No doubt Payfast is most easy and most scalable payment gateway of the modern time. 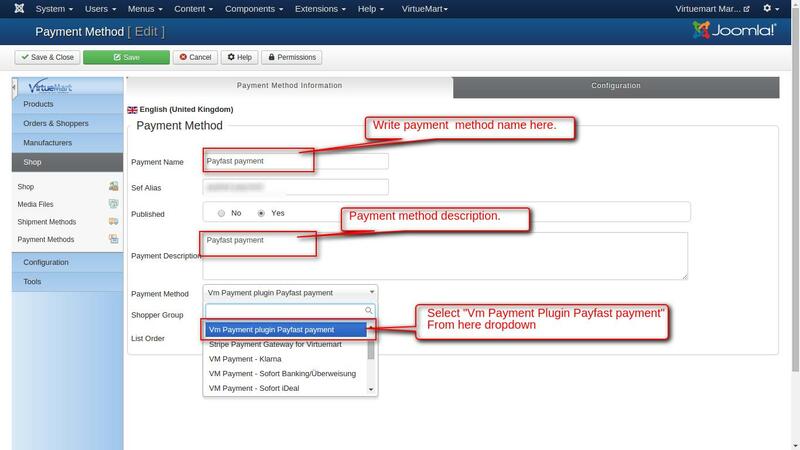 When you’ll download the PayFast Payment Gateway for Virtuemart extension you’ll get a zip files (payfastpayment.zip) use it. Contact us http://webkul.com/ticket if you have any trouble in downloading the extension. ★ Using this module addon payment will be split in to seller and admin. ★ Working with payfast supported currencies. ★ Admin have complete control of the system. ★ Well integrated with Joomla. ★ No Modification required in core files. ★ Admin will get the commission based on sellers. ★ Email notification for both buyer and admin. 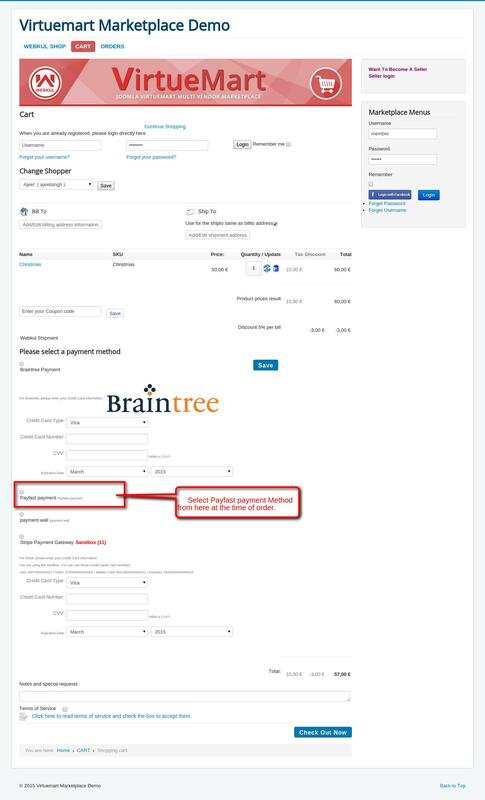 ★ Check and utilized both Test and Live server modes on the payment gateway. 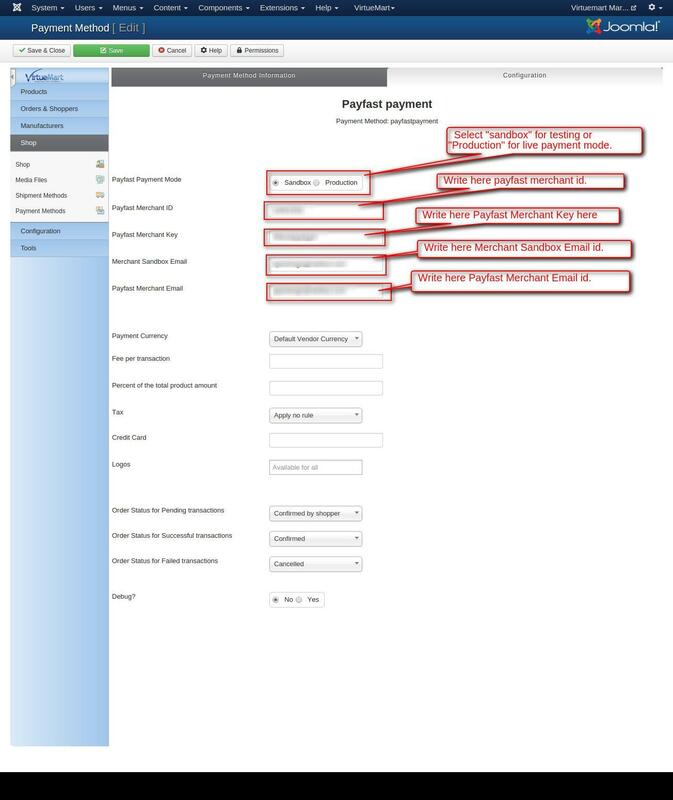 • Install plugin (Payfastpayment) then Plugin Payfastpayment should be enabled first. 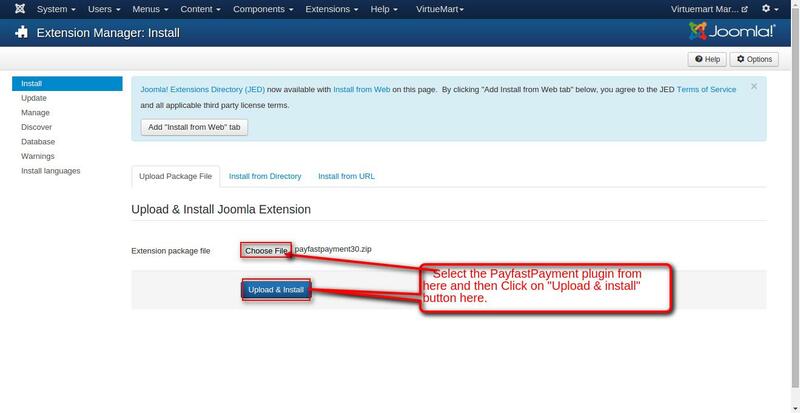 Steps for installing payfast Payment Gateway on VirtueMart: Install plugin on joomla end.